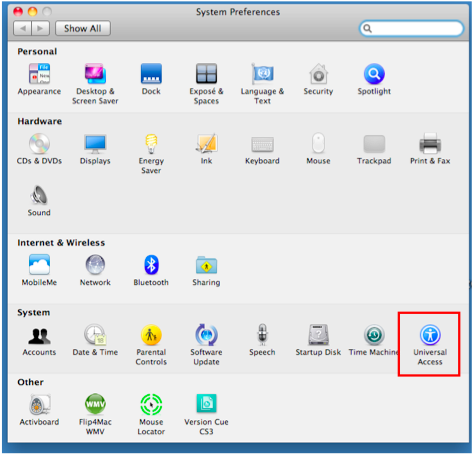 To improve the contrast and make it easier to read the contents of the screen, use the Display settings in the Seeing pane of the Universal Access window. To reverse the display and show white text on a black background, choose the “White on black” option. There is also an option to remove all color and use a grayscale display. This option can be helpful for testing web pages and other documents to make sure that all the content can be seen by a color blind person. To make more gradual contrast adjustments, use the Enhance contrast slider. 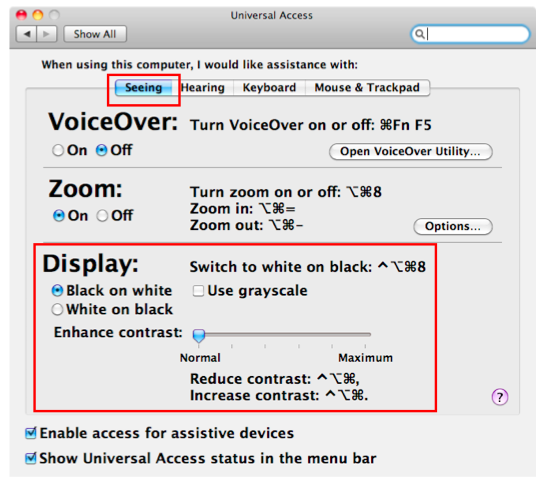 To switch to the “White on black” option using the keyboard, use the following shortcut: Command + Option + Control + 8.